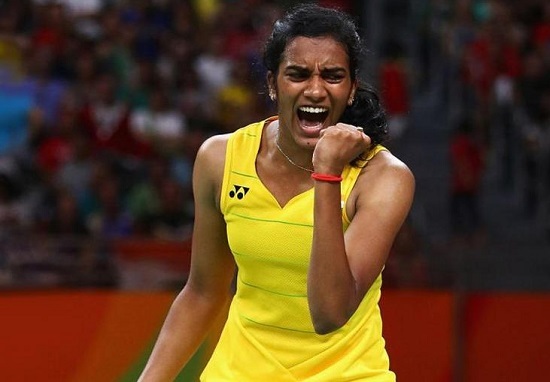 Pusarla Venkata Sindhu, known as PV Sindhu, is now the seventh highest-earning sportswoman in the world, according to a recent list released by Forbes. PV Sindhu has earned 8.5million during the period between June 2017 to June 2018. She has earned $50000 as prize money and a $8m dollar from endorsements. The 23-year-old shuttler comes from a sporting background and her parents had played volleyball at the national level. However, Sindhu was inspired by Pullela Gopichand. Sindhu has been signed by a number of top companies including Bridgestone, Gatorade, Nokia, Panasonic, Reckitt Benckiser, and a half-dozen other brands. She is also the brand ambassador for the Central Reserve Police Force and Vizag Steel.